Resolutions are pretty ridiculous but I love lists. I have lists everywhere. I rewrite lists in different places and different ways in case it makes them more effective. It doesn’t, just FYI. I also love goals. I rarely meet them but that doesn’t mean they’re not worth setting! 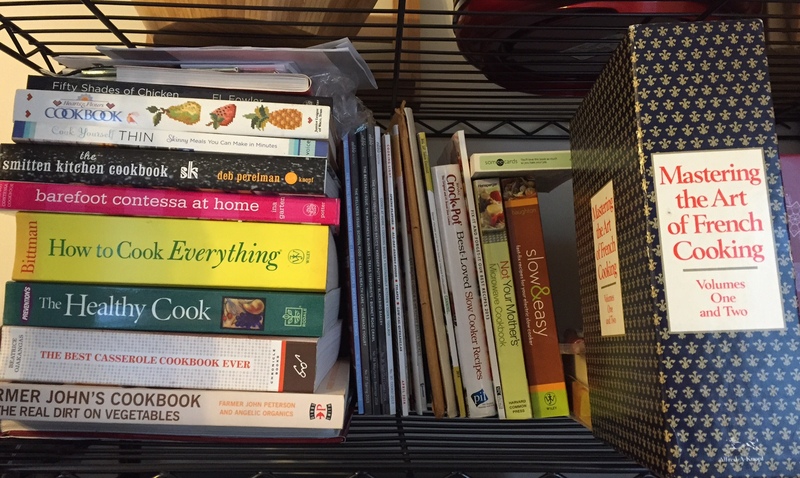 This is only a small portion of the cookbooks I own. Read more. Specifically I want to start working my way through the stacks of books I already have instead of continuing to purchase new ones. It’s an issue. 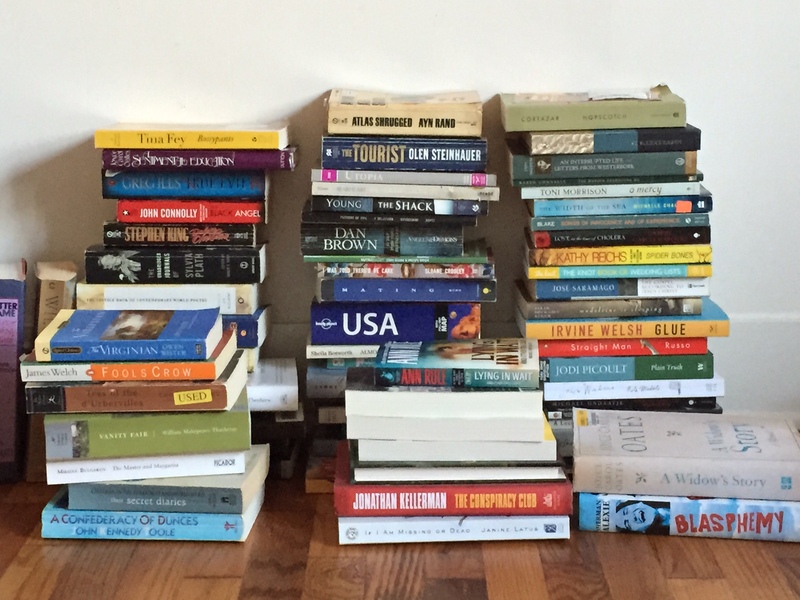 I have stacks of unread or partially read books staring me down as we speak. Get my finances in order. I’m pretty good about not spending too much money but my credit isn’t where it should be and with an indefinite period of unemployment looking my way, I need to start being savvy. Be outgoing: Being in a new place tests my social anxiety limits but I’m going to need to go out of my way to make friends and introduce myself. That’s going to be the only way to build a community for myself here… and get a job. Hike: This year I want to start hiking more. In the next year or two I want to hike a significant portion of the Appalachian Trail and prepare to do the Camino de Santiago. I need to start off with day hikes and research. Let’s go! Happy New Year everyone! Any goals for 2015?